Guest post:Allan Telio is VP of Business Development at MyEnergy, a Boston-based web company focused on demystifying residential energy efficiency. He’s also an instructor in SIB’s Sales & Business Development track. Bees and startups? Bear with me. It’s just as relevant as how improv comedy can help you in business. A few weeks back, I finally attended bee school (pun intended) taught by theNortheast Organic Farming Association at BU (pun not intended). It’s a two-day intensive course on bee behavior, communication, hive construction, and the cause of disappearing honeybees across the country. Fascinating stuff. In the days since, I have realized there are several best bee practices that apply to business and sales. Here are a few. Honeybees have one of the most complex, interesting communication systems in nature. For example, through “dance,” a bee can basically describe the following about a food source’s location in relation to the hive. By communicating the source of the food, the hive, as a whole, ends up being much more efficient. Effective sales teams do the same thing. They share information with team members about verticals they’ve been successfully selling to and provide advice about how others can tap the same vertical for leads. Instead of hoarding the source of leads, they share it with the entire group, which makes everyone more effective. Communicating where “nectar” is located also eliminates wasted effort, because team members don’t have to spend time searching for a good source. In a startup, effective use of time is essential. If a salesperson sits on leads and fails to reach out to a potential customers, guess who is calling? The competition. I’ll spare you the rising tides and ships cliché, but simply put, if your company is growing rapidly, you’re more likely to do well. Bee open. It benefits everyone. To produce just one pound of honey, honeybees must visit over 2 million flowers, and collectively travel over 55,000 miles (that’s two times around the globe). You’d think that during a trip to collect nectar, bees would be desperate to stop at every flower they come across, but you’d be wrong. During a given trip, a honeybee will only visit one single plant species. For example, if a honeybee collects nectar from a clover, it will only visit other clovers during that trip. On the next trip from the hive, the bee may decide to collect dandelion nectar, and will only visit dandelions. Honeybees like to focus, but don’t limit themselves. The same is true for effective sales teams – they go deep, but aren’t limited. A salesperson may need to contact numerous prospects (hopefully less than 2 million) in order to make a sale. Common mistakes are to overspecialize or, conversely, completely lack specialization. The most successful sales teams develop a strategy that targets several different verticals, but allows each team member to delve into a specific vertical. By focusing on one vertical, a salesperson can learn the industry language and quickly identify the value proposition necessary to close the deal. A word of caution, though: early-stage companies, which have smaller sales teams, should be careful not to overspecialize. Spend time learning a vertical, but don’t hesitate to take risks and visit different flowers. Bee deep, but not limited. During the spring and summer, an adult worker honeybee lives about 35 days. In this short lifespan, they learn how to master every job in the hive. Worker bees do it all. They’re little multifaceted gangstas. Being multifaceted is also essential when working at a startup. It’s not crucial that everyone is able to do everyone else’s job, but it is key that everyone at least understands each other’s roles. Having everyone aware of each other’s roles allows people within an organization to help each other, collaborate together on more creative solutions, and ultimately build a better product. 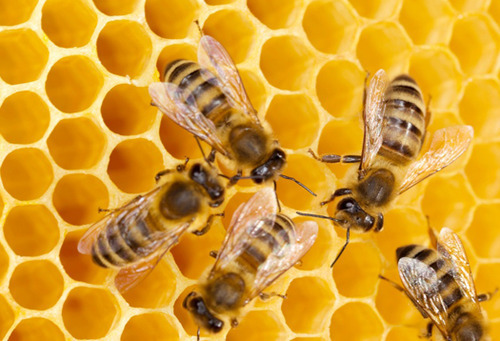 Businesses, like hives, are living organizations. Working together towards a common goal is the only way an organization can grow. See, bees can teach you something about growing your startup. Don’t be a honey hog, be selective (but not too selective) when you’re on the hunt for nectar, and learn how to do everything from warming the brood nest to ventilating the hive. 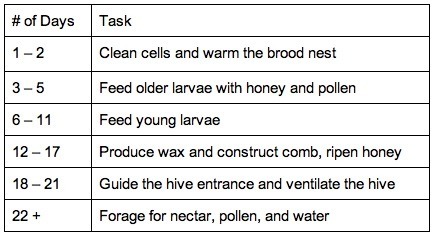 Follow these tips, and your hive will grow to dominate the forest. Application deadlines for NYC (May 26th) and Boston (May 12th) Summer sessions are coming up fast. Apply today!